Are you a college student studying English, marketing, communications or something similar? Do you have a strong interest in conserving and helping the environment? Do you enjoy bringing the community together through events? 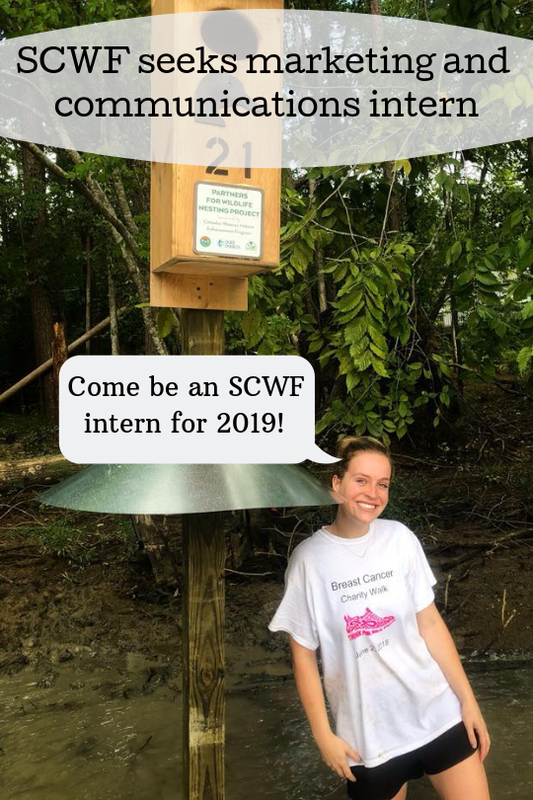 SCWF is seeking a marketing and communications intern for 2019. Combine your love of the environment and outdoors with your love of technology and communications all while gaining vital experience for the work force. Ideal candidate is a social media savvy people person who can enjoy working both indoors and out. Bonus points for blogging or graphic design experience. Even more bonus points for being willing to learn. Newer PostHelp us raise money for Project Prothonotary!